The second Saturday of September , RAIN OR SHINE each year an auction is held on a farm near Clarita to raise funds for the local Amish School. Farm equipment, livestock, antiques, and an array of all sorts of items are auctioned. However, the highlight of the auction is the many colorful hand-made Amish quilts are put on the auction block. As soon as the current year's inventory is sold, the task begins again with quilting’s being held weekly in different community homes. 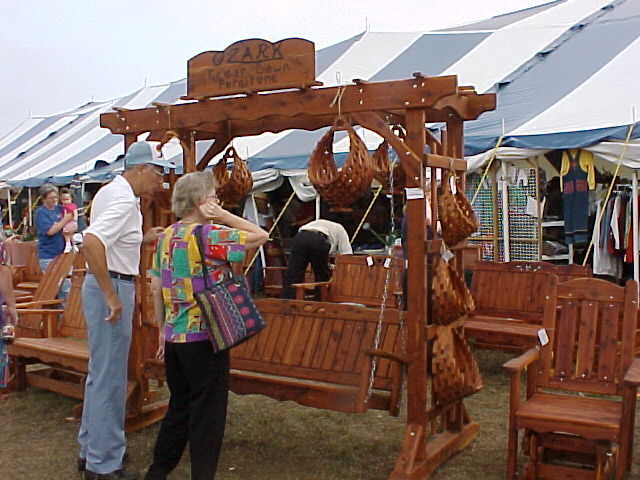 As well as items to be auctioned, craft and antique booths are set up so that guests can buy directly from the crafter. All food booths are Amish including the early Saturday morning sausage and pancake breakfast, home-made ice cream, bread, pies, cakes and pastries. The annual Amish consignment Auction is not in the town of Clarita. It is located about 2 miles north of Clarita at the intersection of State Highways 48 and 31 in a field on the east side of Highway 48. Follow the signs and traffic.